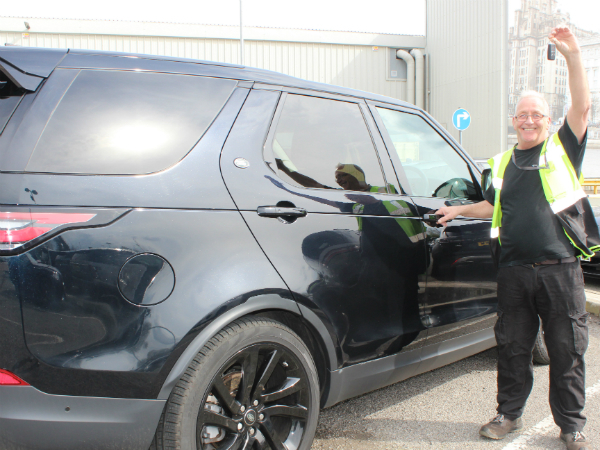 Stephen Abraham from T&F’s safety team at Halewood is hoping his lucky streak continues - after winning a Land Rover Discovery for the weekend, simply by downloading our new employee app, he is also hoping to strike lucky at the Grand National! After being handed the keys to a black Discovery 2.0 SD4 Stephen said he can’t wait to take it out for a long drive with his family on Sunday after they all attend the famous Aintree races on Saturday. If you're based at Halewood and want to be in with a chance of winning, simply enter the competition on the new YOUR JLR app.